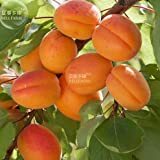 Apricot tree for sale – it’s difficult plant for to grow because the fruits attacked easily, planting in winter to spring, better to buy grafted tree or plant. Growing information: perennial plant, growing hardiness zone: 5-10, water needed – average to big amount, light conditions – full sun to partial shade, height: 3-15m, 10-50 feet. Blooming in the spring in saucer shaped flowers that appear in white to pink color. Fruit harvesting from spring to summer, better to protect the fruits from pests. 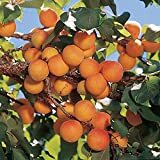 Apricot tree for sale – What need to know before buying Apricot tree? 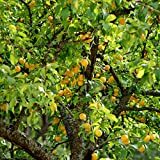 Need to know before buying Apricot tree: at least cool winter, prune the tree in the winter, to get big fruit need to thin out the fruit when there little, the tree and the fruit attacked easily, the tree yield the fruit in the same time for short period.